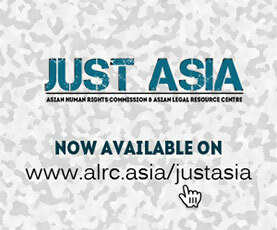 The Asian Human Rights Commission (AHRC) wishes to forward updated information to you regarding recent arrests in Nepal’s worsening crisis. The following are some cases of arrest and detention committed daily by the Nepalese security forces since the royal proclamation on February 1.We have received this information from a reliable source but cannot reveal their identity for their own security reasons. Many cases are still unreported. It is estimated that the actual number of arrest and detention will be much highter. The AHRC is afriad that many of these people may end up tortured, disappeared, displaced or dead. To see current developments in Nepal, please also see our recent urgent appeals and statements, which carries the latest information on Nepal. (See further: FA-05-2005, UG-01-2005, AS-15-2005 and AS-13-2005). We call for your strong support to the Nepalese people who are in desperate situation. 1. Sindhu Nath Pyakurel, NBA, Ex-Chairperson, 1 Feb., Kathmandu, APF Battalion in Duwakot in Bhaktapur, Released on 14 Feb.
13. Rajesh Sharma, HRERLC, District Chairperson, 9 Feb., Kaski, Bijaypur Barrack in Pokhara, Released on 10 Feb.
15. Suresh Chandra Pokhrel, HURPES, Vice-president, 10 Feb., Kathmandu, Ward Police Office in Baneshwor, Released on 14 Feb.
16. Jay Ram Basnet, HURPES, Member, 10 Feb., Kathmandu, Ward Police Office in Baneshwor, Released on 14 Feb.
17. Basu Devkota, HUDEP, General Secretary, 10 Feb., Kathmandu, Ward Police Office in Baneshwor, Released on 14 Feb.
18. Laxmi Pariyar, HURPES, Member, 10 Feb., Kathmandu, Ward Police Office in Baneshwor, Released on 14 Feb.
19. Bal Ram Aryal, HURPES, Treasurer, 10 Feb., Kathmandu, District Police Office of Hanumandhoka, Released on 14 Feb.
20. Suman Shrestha, HURPES, Kathmandu District Committee Secretary, 10 Feb., Kathmandu, Ward Police Office in Baneshwor, Released on 14 Feb.
21. Jiba Lal Kharel, HURPES, Member, 10 Feb., Kathmandu, Ward Police Office in Baneshwor, Released on 14 Feb.
22. Narayan Datta Kandel, HURPES, Member, 10 Feb., Kathmandu, Ward Police Office in Baneshwor, Released on 14 Feb.
23. Laxman Acharya, HURPES, Member, 10 Feb., Kathmandu, Ward Police Office in Baneshwor, Released on 14 Feb.
24. Bal Ram Neupane, HURPES, Activist, 10 Feb., Kathmandu, Ward Police Office in Baneshwor, Released on 14 Feb.
25. Hira Lal Acharya, HURPES, Activist, 10 Feb., Kathmandu, Ward Police Office in Baneshwor, Released on 14 Feb. The AHRC has also learnt that Gauri Pradhan of Child Workers in Nepal Concerned Centre (CWIN) was arrested at Kathmandu airport while returning after attending the Social Forum. Mr Mathura Prasad Shrestha of Civic Solidarity for Peace has also been picked up from his house. The security force arrested Raghu Bhatta, former chairperson, DDC, NC democratic, and Lokraj Bhatta, activist with NC democratic in Dadeldhura on 15 February 2005. Similarly, lawyer Ganesh Bhatta and journalist D.R Panta were also arrested from Dadeldhura on the same date. Ganesh Bhatta is a lawyer by profession. D.R Panta is reporter of Kantipur national daily. Indra Lal Sapkota, lawyer, affiliated with NCP (UML) has also been arrested in Baglung. He is originally from Malika VDC-1, but was residing in Baglung Bazzar practising law. Security forces arrested him on 16 February 2005 from the shop of Upendra at Shivadhara Chwok Baglung. Nar Bahadur Dhami, president FSU (UML wing) of Sidha Nath Multiple Campus, Kanchanpur has been arrested. Khem Bhandari, a journalist, who had been arrested earlier and released has also been re-arrested by security force. In light of this new information and the apparent high rate of arrest that has taken place in Nepal since 1 February 2005, we urge you to write to the various UN bodies, listed below, to share your concern regarding this matter. I write to you to express my deep concern regarding the latest information I have received about the arrest and detention of citizens in Nepal's worsening crisis. Since 1 February 2005, 237 political leaders and activists have been arrested along with 29 human rights defenders. These are alarming numbers and I fear that with every passing day arrests, torture, extra judicial killings and disappearances will increase. I hope that the United Nations will appreciate the severity of this situation and intervene before it becomes worse. Without pressure from the human rights community, world governments, and specifically the United Nations, the rights of Nepali people will continue to be denied and the future of their country will continue to be at risk. I look forward to your immediate intervention in this matter.